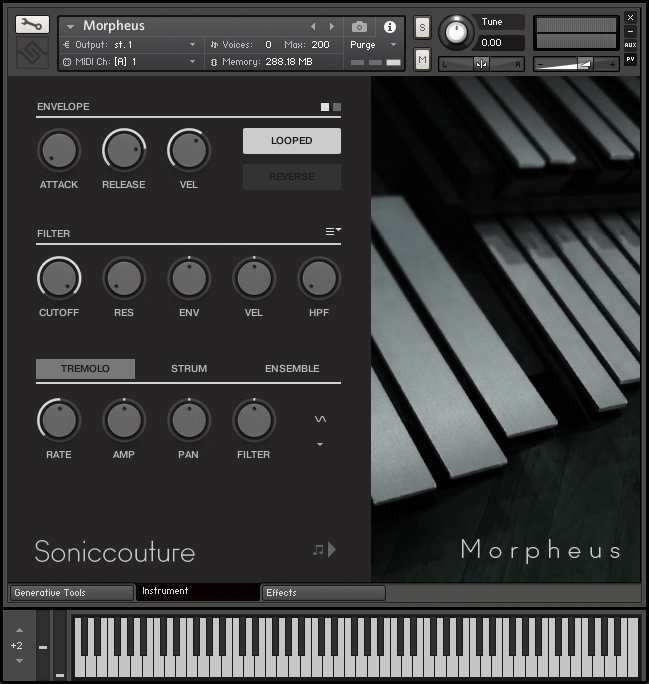 Morpheus 2, Samples de Batterie/Percu de la marque Soniccouture. 1.6 GB sample library, 24-bit/44.1Khz stereo sampling. 3 Velocity layers, 3-4 Alternate Round Robin layers. Generative Tools: KSP Calder ambient pattern generation tool, KSP Jammer generative arpeggiator, KSP Chord Mutation randomly evolve a single chord over minutes or even hours. Performance Tools: KSP Strummer allows you to ‘strum’ or sweep notes across the keyboard, KSP Ensemble doubles and detunes layers for a classic effect, KSP Tremolo Module pitch, filter, and volume tremolo. 50 snapshot presets, percussusion and sound design. Requires KONTAKT 5 or KONTAKT 5 PLAYER version 5.6.8 or later. Also compatible with Maschine & Komplete Kontrol (NKS). 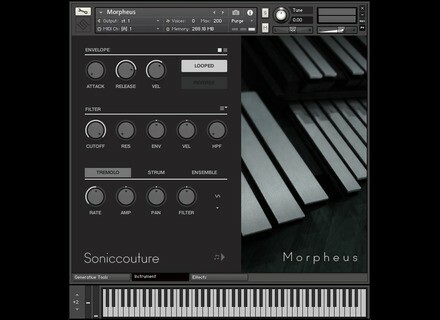 La banque percussive Morpheus de Soniccouture vient de passer à la version 2 et est en promo jusqu’au 11 mai.